Located minutes from the elk visitor center. 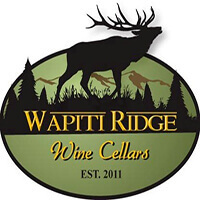 Some of the best tasting wine around. Enjoy a glass of wine on our deck, sometimes an elk will make an appearance. Gift shop also available. Evergreen Valley Vineyards Estate Winery: Living Family tradition, solar and wind powered without outside electricity. Delicious Hand-picked fruit becomes right European style wines, reflecting our heritage and unique vineyard soil. 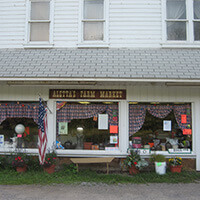 Family owned 4th generation Apple Farm featuring a large variety of Apples and locally grown produce, jellies, and jams and our own Kunes Hard Cider. Our Pumpkin Patch in the Fall is a must for families. 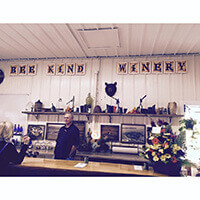 Experience free wine tasting and tours at laurel Mountain Vineyard in a renovated century old barn; Easy to find location, friendly staff, large gift shop. Wine/beer making supplies. Antique tool museum and picnic pavilion. Take the tool test to win a bottle of wine. Be sure to come to our Summer sunset events. The Liddle Gallery is a small business set up for qualified artists to join as members. The artist must be from Central PA. 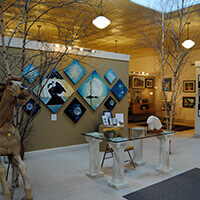 The Gallery is set up as a co-op but it is individually owned, has a yearly fee to join, and monthly dues. The gallery retains a percentage of sales. The gallery's mission is to help artists develop their talents, to lift up and nurture, and to provide a friendly and inviting atmosphere for customers and artists. The gallery provides a venue for artists to sell artwork and fine crafts and to bring awareness to our community by the many gifted artists and crafters we have in Clearfield County. Offering sip and paints, birthday parties and various classes. 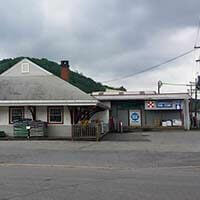 Convenient location in the PA Wilds. Complimentary wine tasting. 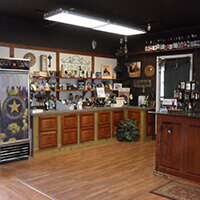 All wine produced and bottled on site. Enjoy our outdoor area and gazbo. Wireless internet is available, restrooms, handicapped accessible and buses are welcome.